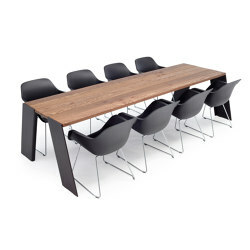 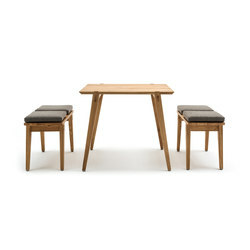 A dining table can really be combined with any stool, chair or bench, but, for the sake of visual unity, some people simply prefer the seating to harmonise with the table. 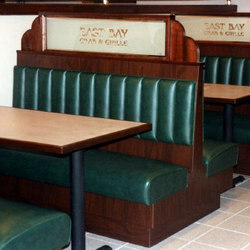 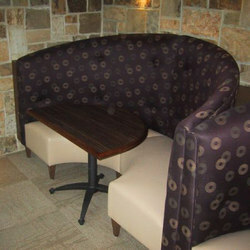 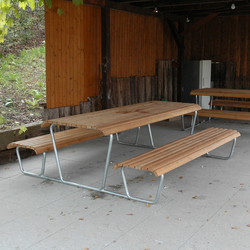 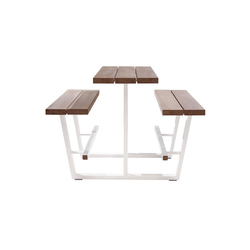 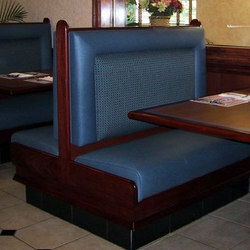 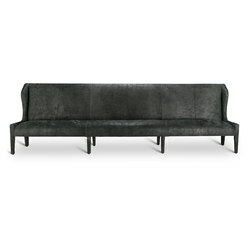 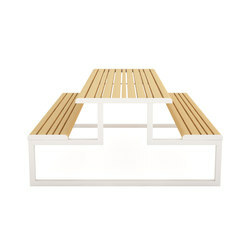 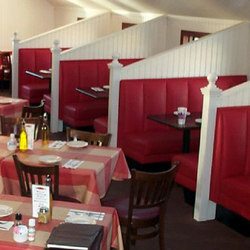 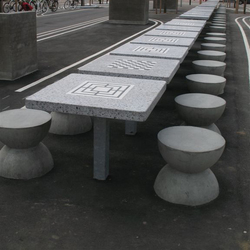 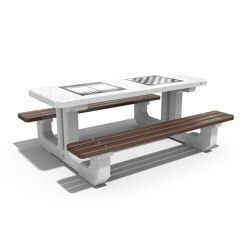 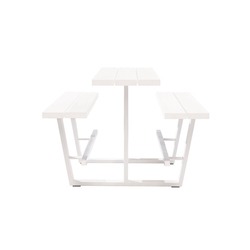 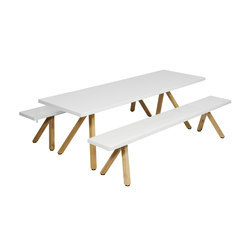 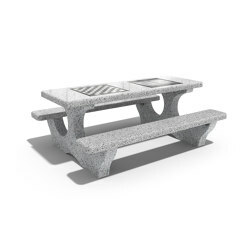 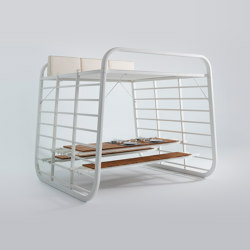 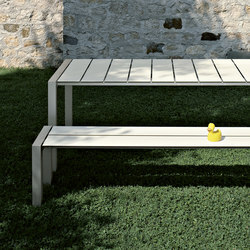 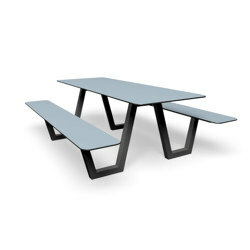 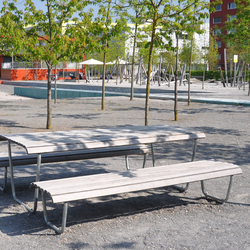 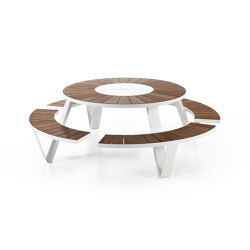 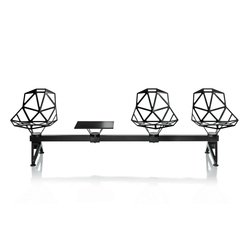 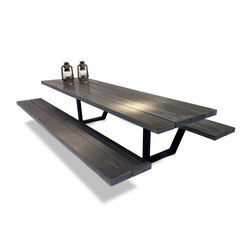 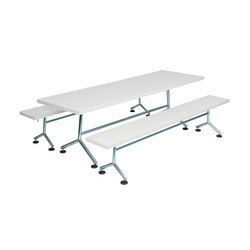 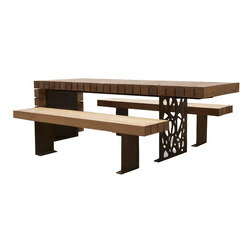 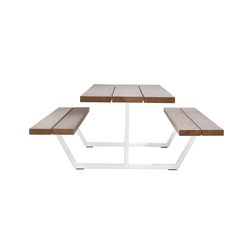 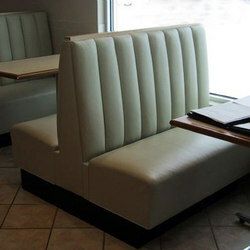 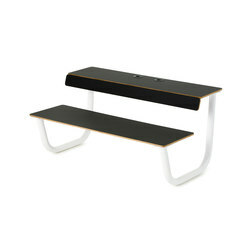 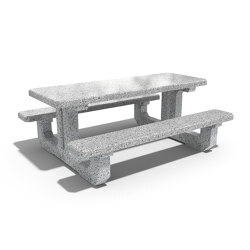 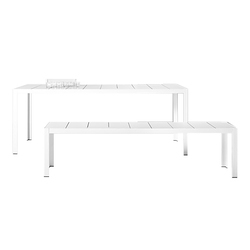 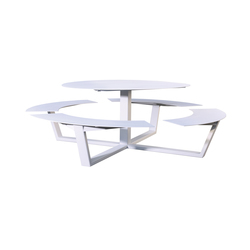 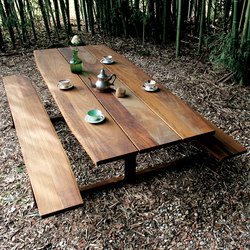 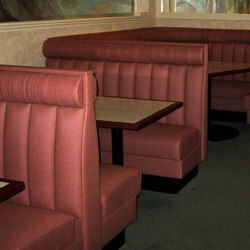 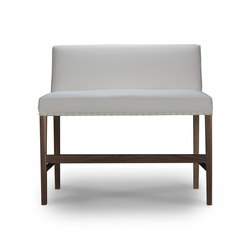 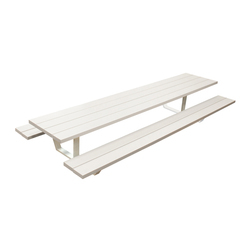 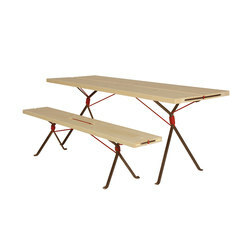 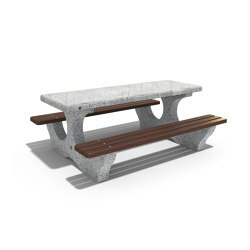 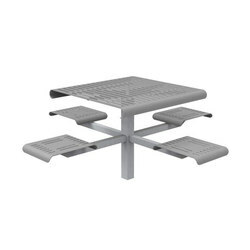 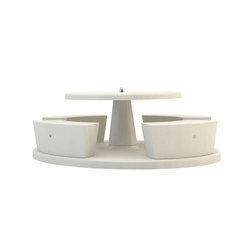 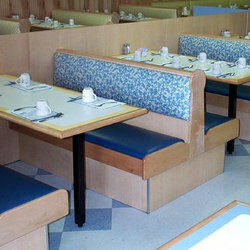 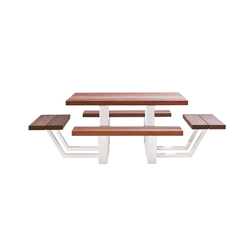 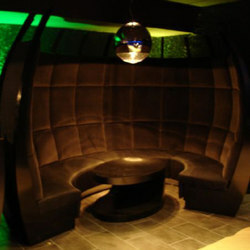 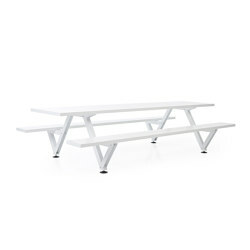 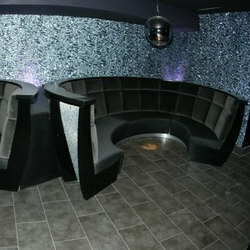 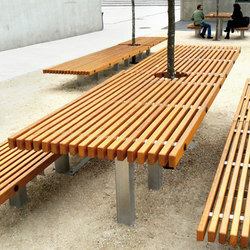 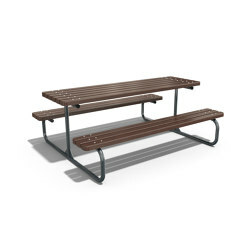 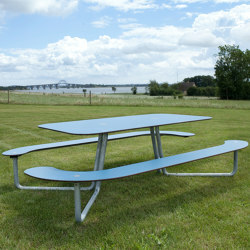 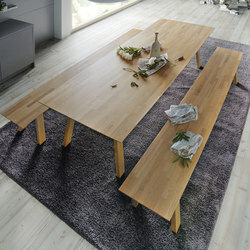 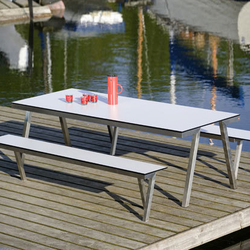 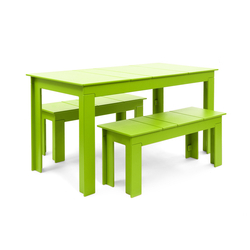 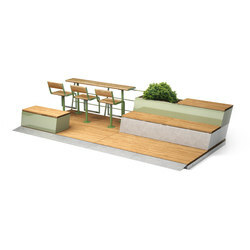 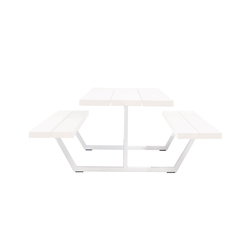 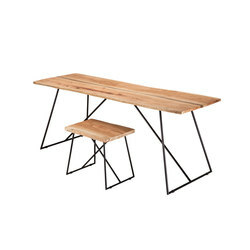 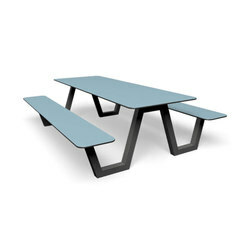 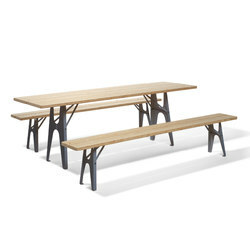 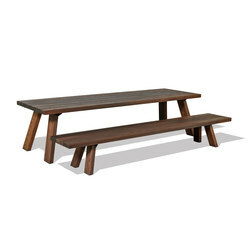 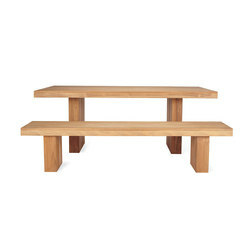 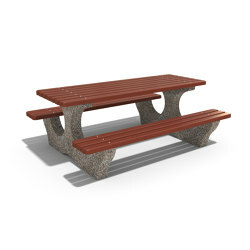 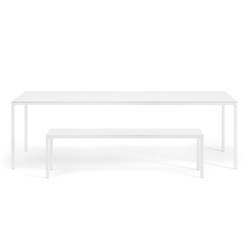 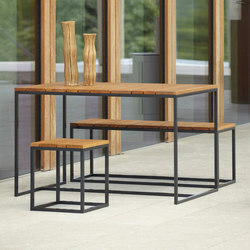 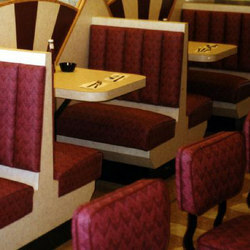 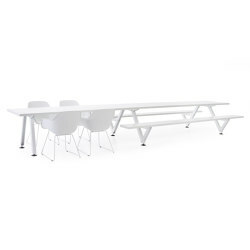 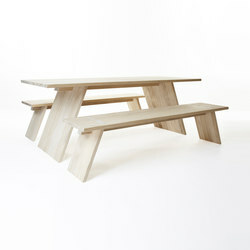 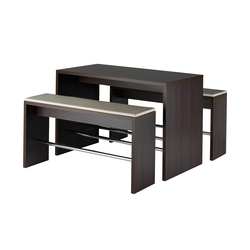 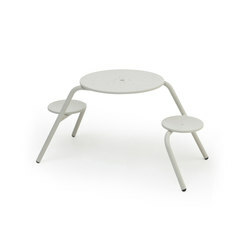 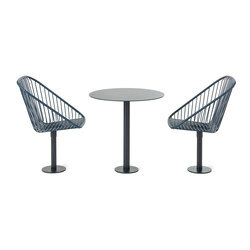 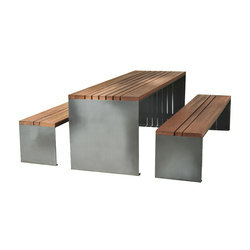 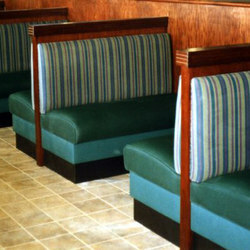 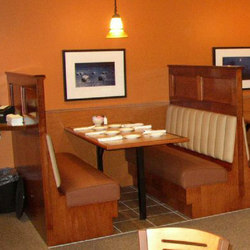 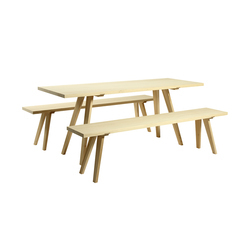 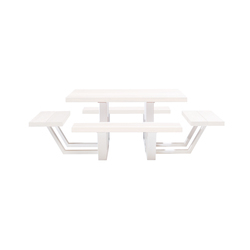 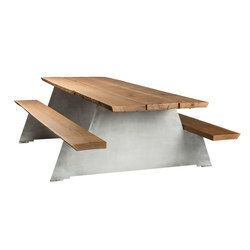 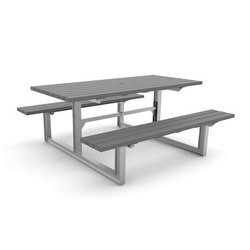 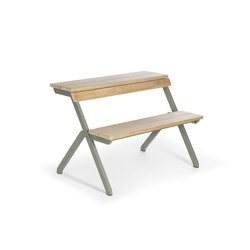 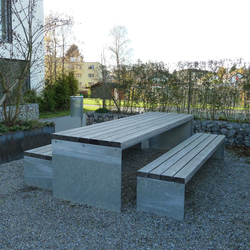 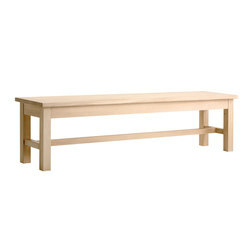 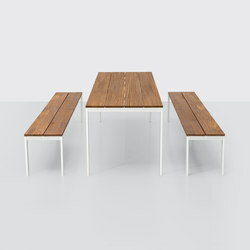 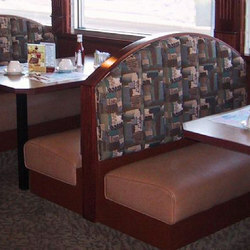 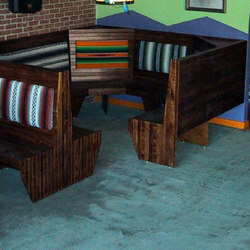 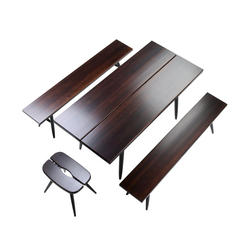 For them, a table with matching benches could be the solution. 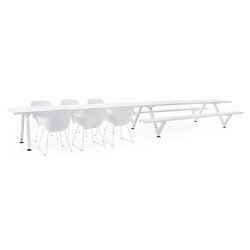 There are several options available. 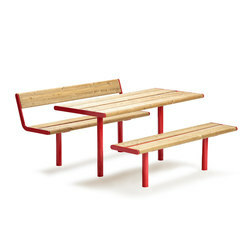 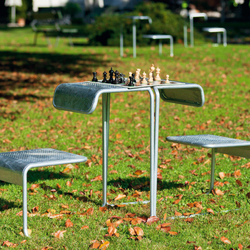 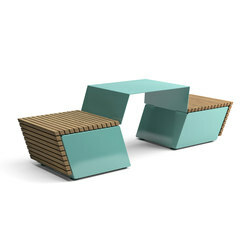 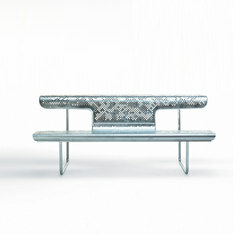 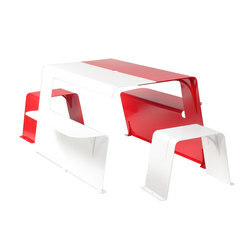 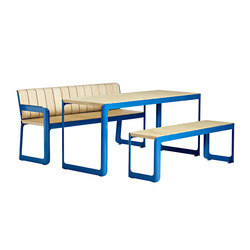 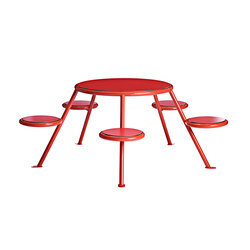 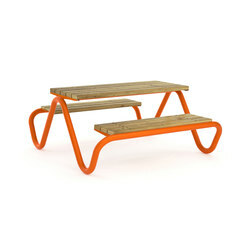 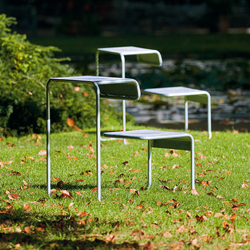 James Burleigh’s ‘Waldo’ and ‘Waldo 45’ combine reduced forms and bright colours with various lengths of benches. 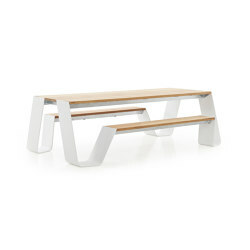 Gjalt Pilat’s ‘Bas’ uses similarly abstract form, but materializes his design from solid wooden strips instead. 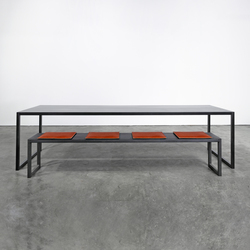 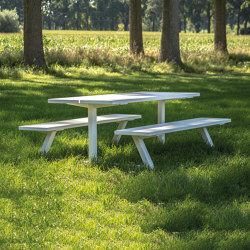 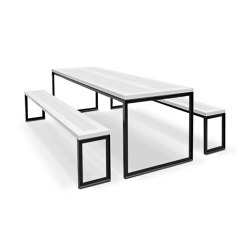 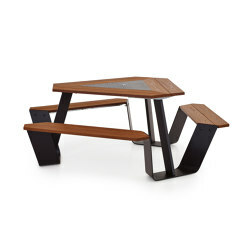 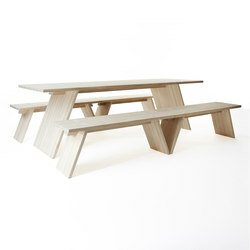 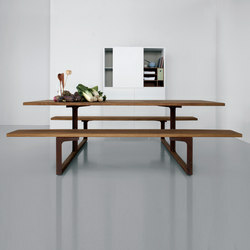 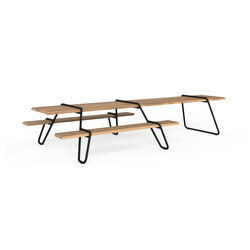 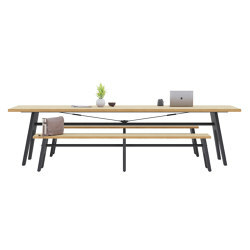 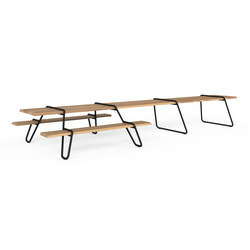 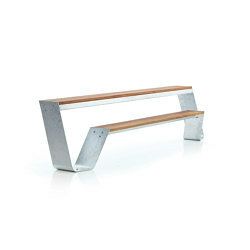 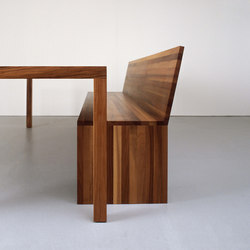 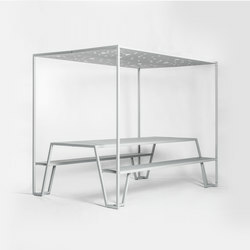 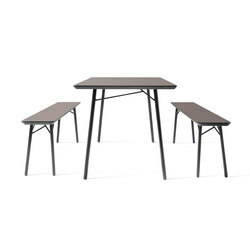 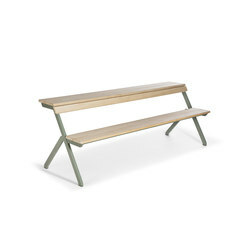 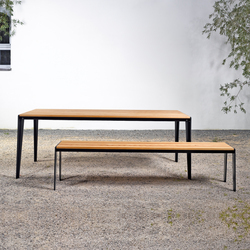 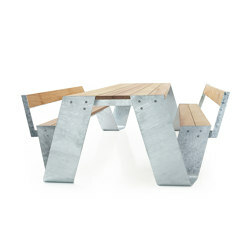 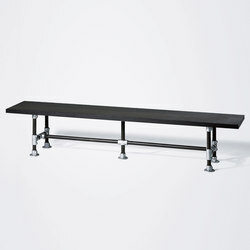 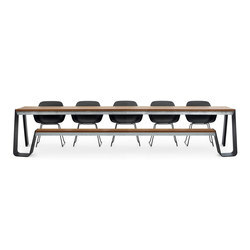 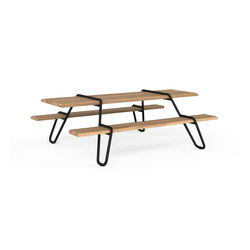 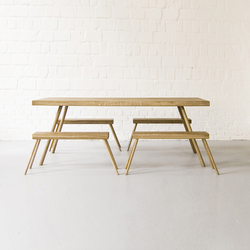 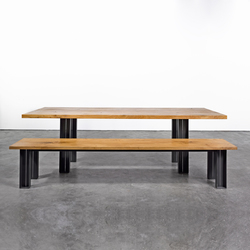 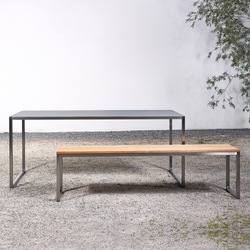 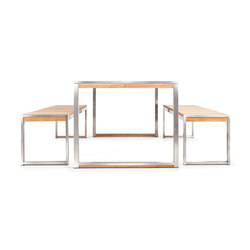 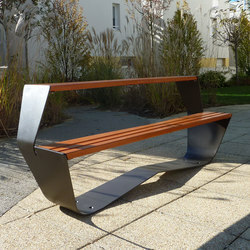 Silvio Rohrmoser’s ‘Table and bench on_01’ is a visually lighter design, constructed from varnished steel, while ‘Ten’ table and benches, designed by Alexander Stamminger and Nik Back for maigrau, is a clever and minimal exercise in construction and detail with slanted steel legs and wooden top. 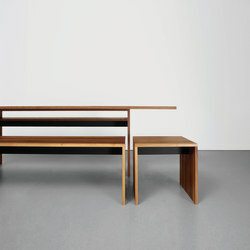 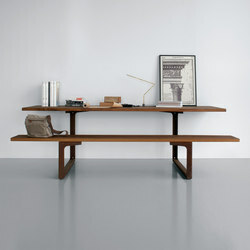 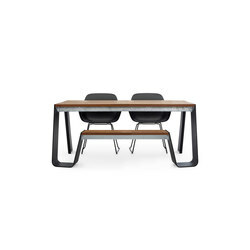 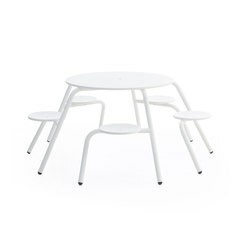 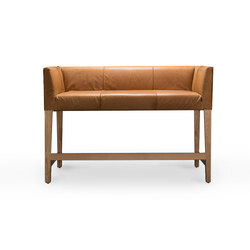 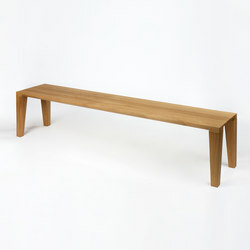 Ilmari Tapiovaara’s ‘Pirkka Table with 2 Benches’ for Artek is an understated, mid-century design with characteristic Scandinavian sensuality, and Alexander Seifried’s ‘Stijl cornerbench | table’ pares down this classic type and offers a comfortable bench with a backrest in a design with a decidedly domestic charm. 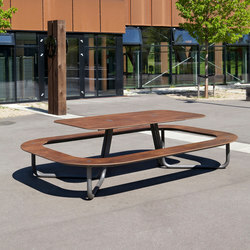 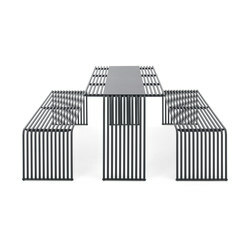 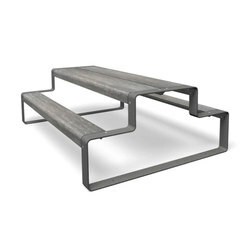 Wim Segers and Ronald Mattele join the metal supports for the table and benches into one structure in their ‘cassecroute table’ for CASSECROUTE, while the high-quality finishes and hard wood used for the seat and table top ensure the ensemble is suitable for outdoor use. 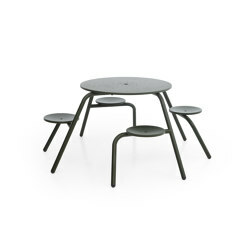 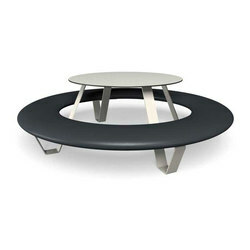 Taking a wholly different approach, Dirk Wynants inflates a large circular cushion and spans it with a round tabletop, creating ‘DoNuts’, manufactured by Blofield, which can comfortably seat up to six people.